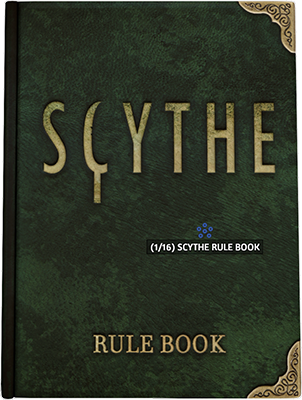 The rulebook used in our Scythe DLC starts off closed. When you hover over it, you can see it has the States symbol and how many “states” are included. In this case, there are 16 states. 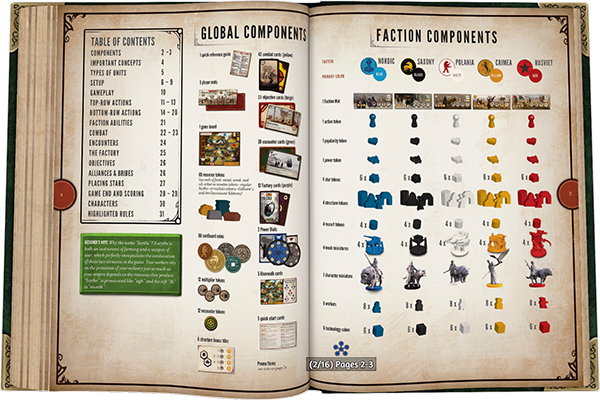 After pressing one of the number keys, in this case the 2 key, the book “opens” up into pages 2-3 of the rulebook. Using States is a fantastic way to really theme up your mods and let your creative juices flow! 1. Line up each object you want to have in the state. 2. 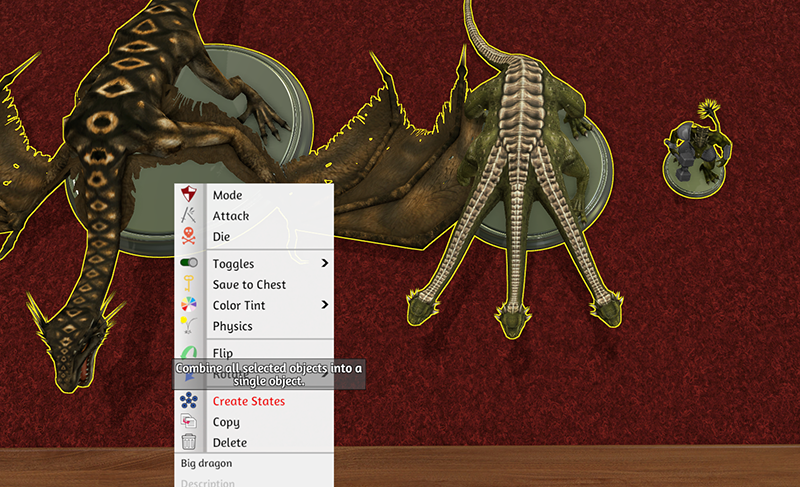 Right click on each object and give them a name and description to make them easy to locate (optional). 3. Box select starting from the left to right. Do it slowly so you can see each object being selected. The order that is selected is the order your state will be in. 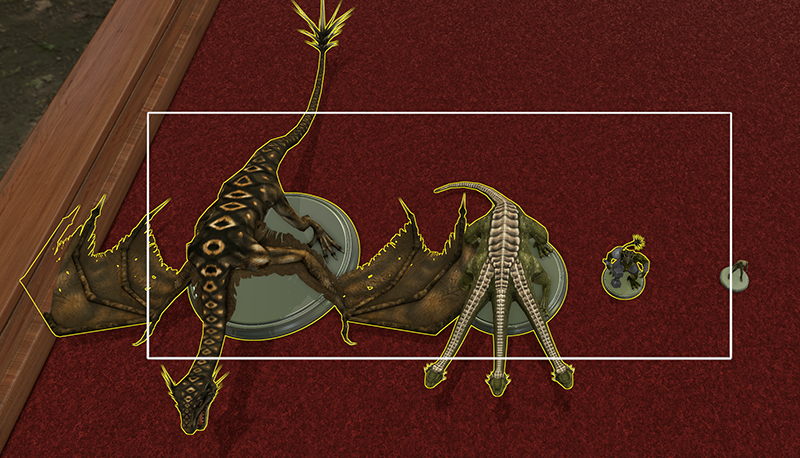 An easier option to ensure you are putting them in the right order is to CTRL + click each object. 4. Right click on the far left object (or whichever object you want to be the “Main”). 5. Then click on “Create States”. 6. You will now just one object – your “Main”. 7. When you hover over it, you will see a “States” icon, so that you are aware that this is a Stated object, as well as a x/x number (eg. 1/6). 8. You can now switch through the different states by using the number hotkeys (1, 2, 3, etc) or right click to get the States menu. From here you can either click on “Set State” to click through each state, or choose the numbered state. If you named your objects, when you hover over the numbers, they will show the name of that object. 9. 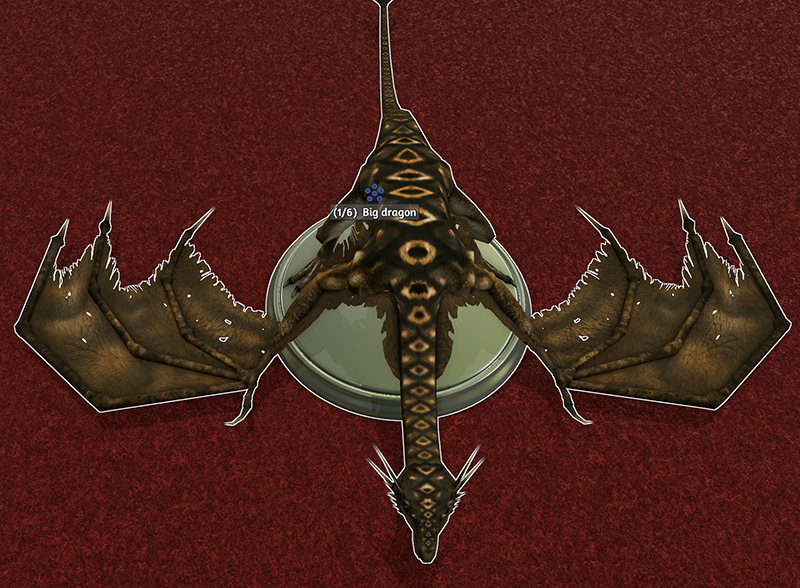 Additionally, you can randomize/shuffle which object you want to show up by pressing the R key. 10. To remove the states, right click and click on “Reset”. Please note that all objects will be deleted and the last object shown will remain. The following gif gives a quick basic overview of how it’s done. States can be used for just about anything. Want to create a book? You can now have different “pages” by using States. Have an RPG where your character is a shapeshifter? Create pre-made figures and turn them into states! Also good if you want to have different moods for your characters as well. There’s so much you can do with States. Try it out for yourself and show off what you’ve done!